Hotel in Tallahassee FL, Tallahassee FL Hotels. 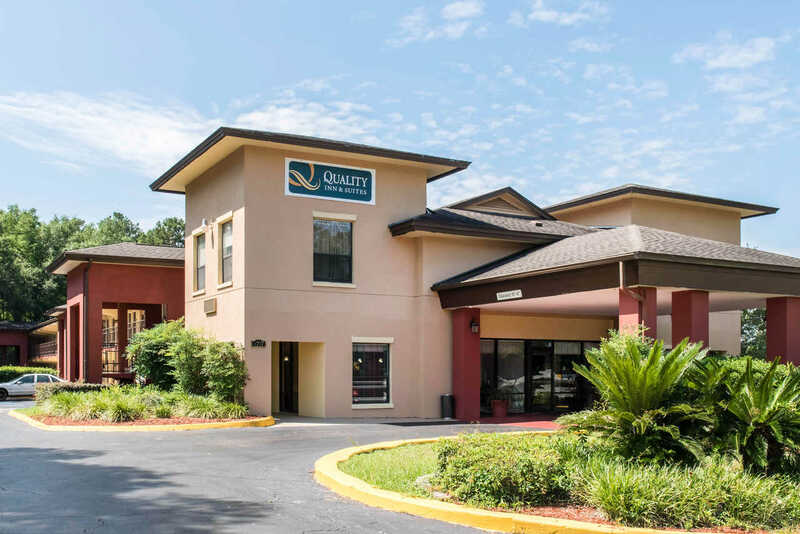 Welcome to Quality Inn and Suites, a hotel in Tallahassee FL where you can feel comfortable and at home no matter who you are or why you’re in the area. We’re near Cross Creek Golf Course and so much more. For business or pleasure – or if you’re just passing through – depend on us. Our pet-friendly Tallahassee hotel is easy to access off I-10 and is near the region’s most important attractions and points of interest. Locations nearby include Wakullar Springs, the Florida Capitol, Florida State University, Florida A&M University and more. Also close at hand are Odyssey Science Center, Florida Museum and the Antique Car Museum. Amenities we provide to enrich and enliven your experience include a free hot breakfast, robust free wifi and an outdoor pool when in season. There’s also a business center for your use, television with HD stations in all rooms and more. We also feature the Backwood Crossing restaurant where you can your friends or colleagues can gather in style. Other in-room amenities include refrigerators, microwaves, hair dryers, irons, recharging docks and more. You’ll be as pleased with our professionalism as you are the wide range of amenities we offer. 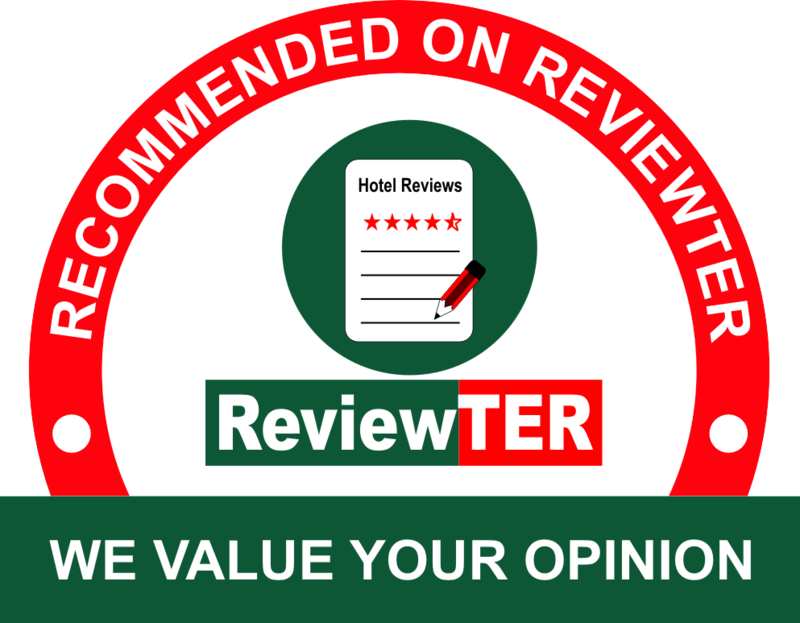 We carefully train our staff to provide exceptional service to everyone who stay with us at this Tallahassee FL hotel. When you combine our great amenities with convenience of our excellent location, you already have a good experience in the making. Add in the courtesy and professionalism of our staff and you’re sure to get an experience that will satisfy any kind of traveler visiting the great attractions of Tallahassee. At Quality Inn and Suites, we’re a hotel in Tallahassee FL that can make you feel at home – at a price that will fit within even the tightest budget. Enjoy one night or several with us and wake up to great mornings when you choose our Tallahassee hotel. 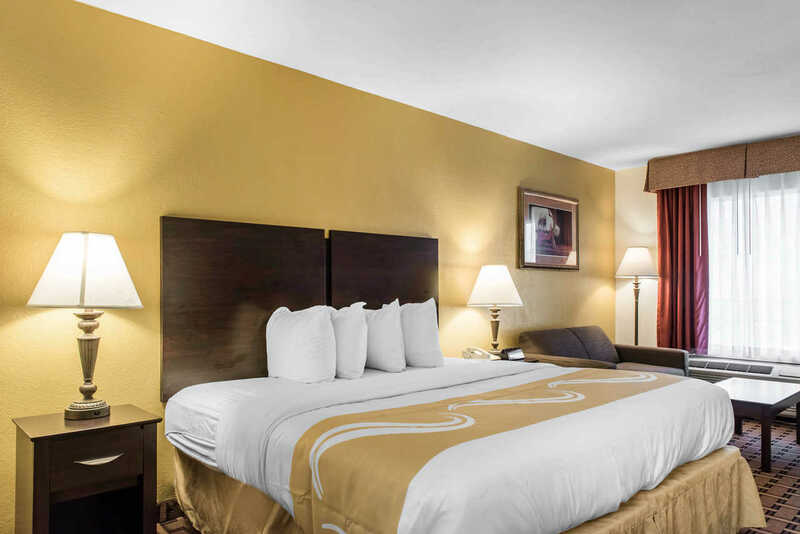 When you’re looking for Tallahassee Airport hotels or perhaps I-10 hotels in Tallahassee, Florida, it makes good sense to stay in affordable comfort with us. We even offer a great free breakfast and plenty of coffee to help you get your day off to a smart start. You can be sure we'll do our best to meet your needs and exceed all expectations while offering you the budget-friendly rates you expect and the excellent experience you deserve here in Florida. Why not book now? 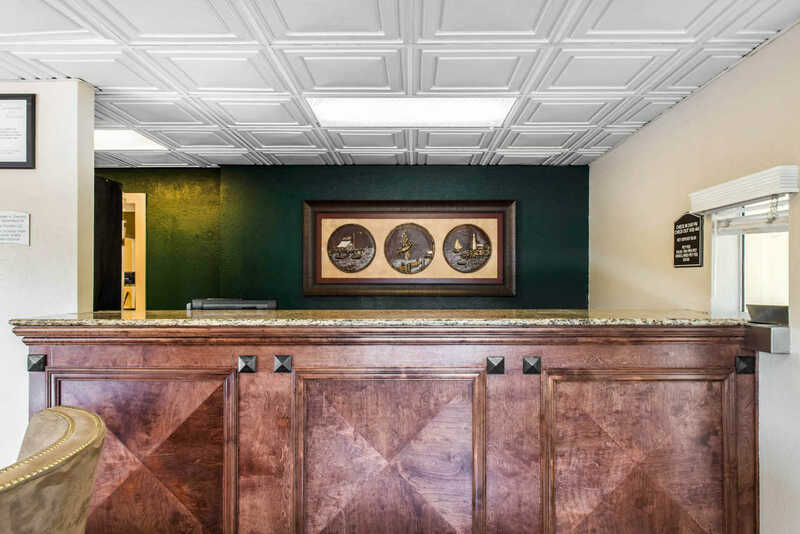 We exist to serve all kinds of travelers, including those seeking affordable Tallahassee hotels near Cross Creek Golf Course if you get some downtime. We want to be your home here. Our Quality Inn is a hotel in Tallahassee FL that’s a convenient, affordable choice when you need Florida A&M University hotels, for example. This hotel is a family-friendly hotel where you’ll feel right at home. When you want a hotel in Tallahassee, Florida, you can count on us to accommodate every member of your family in affordable comfort. Make us your first choice every time you come to this area and you’re sure to always be satisfied. We welcome you to our comfortable, affordable and convenient hotel – and to this great area. No hotel takes more pride in serving families than we do. May we do our best for you and your Florida traveling companions? 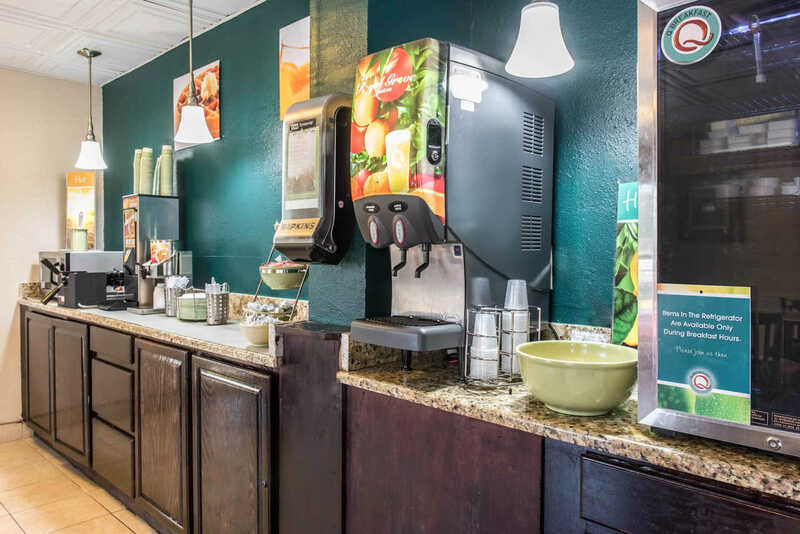 If you want to save a bit of money on your motel in Tallahassee, Florida but still want a great experience that’s worth repeating every time you come to explore the area on business or pleasure, give us a try here at Quality Inn, the right place to stay for any kind of traveler, any time. We’re the top choice of Odyssey Science Center Tallahassee hotels for a reason and are the best Tallahassee hotel near Wakulla Springs that the area has to offer. You can be sure we'll do our best to meet your needs and exceed all expectations while offering you the budget-friendly rates you expect. How may we serve you? We’re the best in the Tallahassee area at this Quality Inn, and we’re certainly the best of the Tallahassee, Florida hotels for comfort. Our property is designed with all kinds of travelers in mind and has an array of amenities – including a free breakfast guests love – that’s sure to enhance your stay no matter why you're in the area. Why not book a room with us now? We welcome you to our convenient, affordable and comfortable Tallashassee hotel where you and those with you are sure to feel comfortable. No one is better equipped to meet your travel needs in this part of Florida than us. Tallahassee Museum has something for everyone – including indoor exhibits, a zip line and more – all near our Florida hotel. This Quality Inn is also near Museum of Florida History, which takes a look back at what made Florida what it is. And there are shops and restaurants in Tallahassee that you won’t find elsewhere, so explore the individual charm of each one. And get outside too. With fun in the sun available in every direction, you need to get out and explore to get the most of your Florida travel experience. This website is owned and maintained by Quality Inn and Suites, a licensed user of certain proprietary trademarks and service marks of Choice Hotels International, Inc.